Sheepskin sleep surface and decorative trim, with Suede bolster and gusset. Bottom is non-skid. 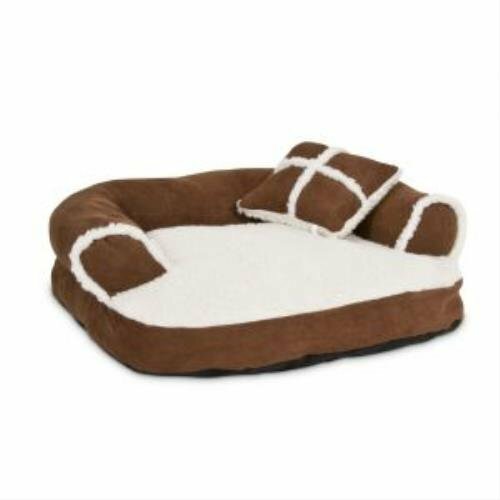 Filled with high-loft, recycled polyester fiber fill that will make pets feel like they are on cloud nine. Machine washable for easy care. Sofa bed measures 20-inch length by 16-inch width.